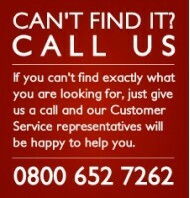 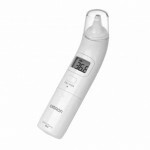 Probe Covers For Omron Gentle Temp 520/521 40 Probe covers in a box .. 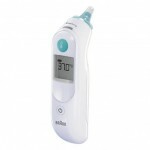 Thanks to Braun’s patented pre-warmed tip and ExacTemp® technology, Braun ThermoScan® is w..
Digital Min/Max Thermometer A convenient and durable min/max thermometer with a clear LCD displ.. 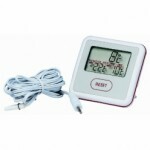 Gentle Temp 520 Hi-Tech Thermometer for low fuss measurement The Gentle Temp 520 ear..
Microlife NC150 Infrared Non Touch Forehead Thermometer The Microlife NC150 Non Touch Foreh..
Omron Eco Temp Smart Digital Thermometer The Eco Temp Smart from Omron is a neat..
Omron Flex Temp Smart Thermometer Digital thermometer with flexible tip for ora..
Probe Covers For Merlin Thermometer 40 Covers in a box. 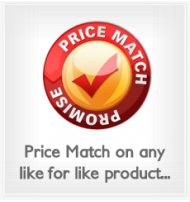 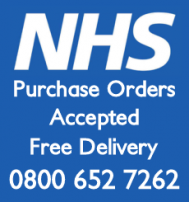 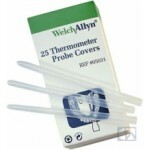 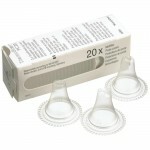 ..
Braun® & Welch Allyn® Probe Covers Designed for use with Braun IRT and Welch Allyn Therm.. 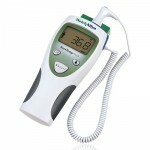 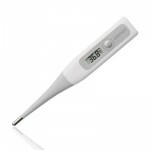 The Welch Allyn Suretemp Plus Thermometer is easy to use and returns a petient’s temperature in as l..
SureTemp® Plus Electronic Thermometer SureTemp Plus Electronic Thermometer - (Model 6..
SureTemp® Thermometer Probe Covers Probe Covers Compatible with Sure Temp Thermo.. 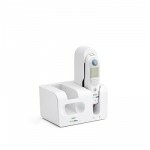 The Thermofocus is the first non-contact clinical thermometer that provides an accurate reading in s..
Pro6000 Thermometer with Large Cradle (stores more probe covers) Stores More Probe Cove..
Welch Allyn Pro 6000 Ear Thermometer with Small Cradle For professionals that require..
Pro6000 Thermometer with Small Cradle & Charging Station For professionals that r.. 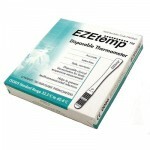 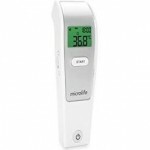 Zeal EZETemp™ Disposable Thermometers Accuracy: ±0.1°C (within the critic..